Graphic for U! Magazine. This is, of course, "The Play." 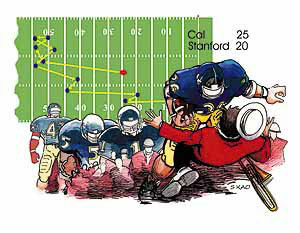 The last second five-lateral touchdown by Cal over Stanford in the 1982 Big Game. John Elway was the quarterback for Stanford.